Istanbul (AFP) - The outcome is far from certain in Turkey's elections Sunday, seen as the biggest test for President Recep Tayyip Erdogan at the ballot box in his one-and-a-half decades in power. The key focus will be on whether Erdogan can win the presidency in the first round and if his ruling Justice and Development Party (AKP) keeps its majority in parliament. With a run-off scheduled for July 8 if no candidate wins over 50 percent of the vote, several scenarios are possible -- each of which will have a profound impact on modern Turkey. SCENARIO: Erdogan wins the elections in the first round, keeps parliament majority. This is the only win-win outcome for the leader and what he had in mind when he in April called the snap elections more than a year ahead of their scheduled date, to catch the opposition off guard. But while Erdogan appeared confident of a knockout victory, that probability has receded with the economy spluttering and the opposition finding momentum. "Erdogan called snap elections expecting to solidify his rule under new constitutional powers, (yet) does not have majority support from Turkish voters," said analysts at the Center for American Progress. SCENARIO: The opposition forces a July 8 run-off. While Erdogan appears certain to reap the most votes on June 24, it is far from inevitable he will win the 50 percent plus one vote needed for a first-round victory. His main rival, Muharrem Ince of the Republican People's Party (CHP), has run a surprisingly strong campaign and with the help of other opposition candidates has a realistic chance of forcing the second round. Analysts say that Erdogan would still be the favourite in a run-off. But the outcome of the parliamentary elections could influence voting on July 8 and, even if he won, Erdogan could enter his new term weakened. 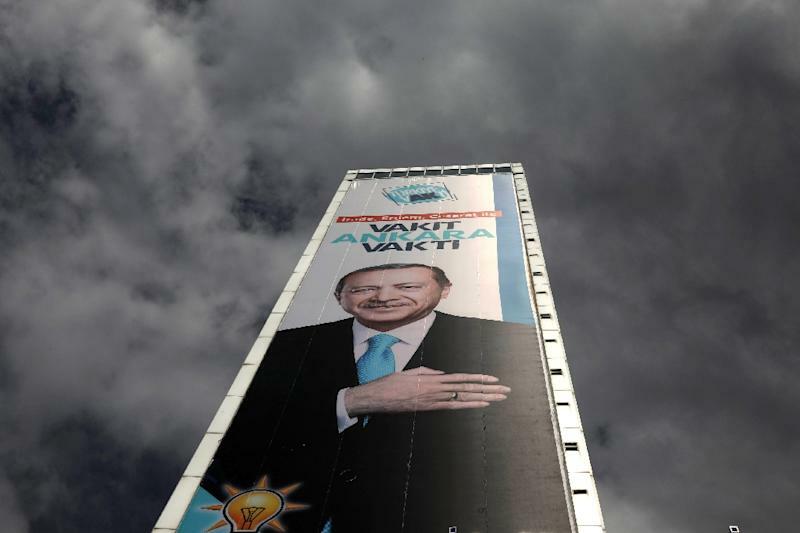 If the AKP loses its parliamentary majority on June 24, Erdogan would face a presidential run-off "with his aura of invincibility and traditional mastery over Turkish politics severely weakened," said Kemal Kirisci of the Brookings Institution. SCENARIO: Erdogan wins presidency, AKP loses control of parliament. This scenario could throw Turkish politics into a period of profound uncertainty, rattle confidence in the economy and possibly prompt new elections. "The most likely outcome, as of today, is an Erdogan victory and a contested parliament," said Aaron Stein, resident senior fellow at the Atlantic Council. Ironically, changes spearheaded by the AKP have allowed the CHP to make a broad alliance for the election with three other parties that could boost opposition presence in parliament. Much will depend on the pro-Kurdish Peoples' Democratic Party (HDP) -- which is not in an alliance but staunchly opposes Erdogan -- making the 10-percent threshold needed to win seats. The AKP lost its overall majority once before, in June 2015 polls. Erdogan simply called repeat elections, making clear he had no time for coalitions. But in theory, he would have to stand for president again in order to re-run the legislative polls. SCENARIO: Ince wins the presidency in run-off, opposition controls parliament. Ince is the clear favourite to come second in the first round, allowing his parliamentary allies to rally round him in a run-off and possibly the HDP as well. The opposition alliance winning parliamentary control could create an unstoppable momentum that would help Ince in round two of the presidential elections. "If this comes to pass, a massive political change is likely to occur on several fronts," said Marc Pierini, visiting scholar at Carnegie Europe. Turkey's new rulers would be set to implement substantial change both in economic policy and relations with the West, he added. SCENARIO: Opposition wins presidency, AKP the parliament. This is probably the messiest of all scenarios, with the AKP unused to any kind of cohabitation and the new president likely wholly hostile to the party that has dominated Turkish politics for so long. "A secularist opposition president will be confronted with an Islamist-nationalist majority in parliament, leading to a confused situation," said Pierini.